Welcome to Cosh Living and our beautiful collection of furniture for the home, hotel or resort. 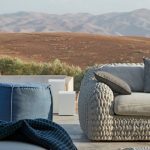 Cosh Living specialise in contemporary indoor and outdoor furniture including lounge, dining, poolside and accessories. 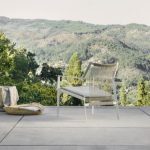 They supply high quality outdoor furniture from leading international brands Tribu, Gloster and Manutti, and they are the exclusive Australian distributors. Their designer furniture is contemporary and modern in style, and is targeted towards the middle and upper market sectors. Their design consultants can provide onsite advice and sampling, so your dream of creating the perfect outdoor space or indoor haven can be brought to life. They also have trade focused consultants servicing the architectural and interior design markets. At the Cosh factory, they design and produce beautiful contemporary sofas, undertake upholstery of chairs and lounges, and produce most of their outdoor cushions, with requirements utilising leading edge all-weather technology. Cosh Living create and distribute a wide range of furniture for all lifestyles and needs, including beds, benches, chairs, coffee tables & side tables, occasional, sofas, stools, tables and more. Incorporating a range of possible contemporary styles, these pieces look perfect in the modern home, or for adding a touch of contemporary to any indoor or outdoor space. 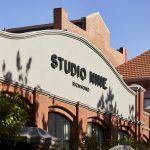 Showrooms are located in Melbourne, Sydney, Brisbane and Perth, and delivery is available Australia wide. For more information, visit Cosh Living’s website.